19th century English Victorian fireplace screen made of brass. The fireplace screen is in a good condition and is fully functional. 19th century English Victorian fireplace screen made of polished brass and iron mesh. 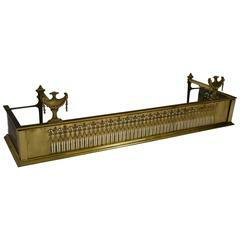 19th century English fireplace fender, fireplace screen made of brass, Measures: Width 125 cm. Depth 31 cm. Height 30 cm. 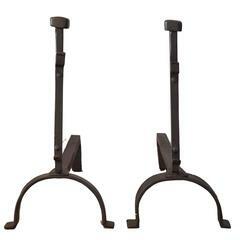 19th century blackened cast iron fire dogs or andirons Including rare toasting brackets Salvaged from an English Country manor house. 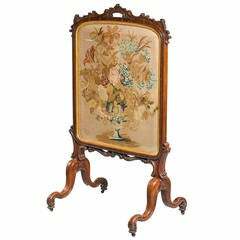 Early 19th century walnut fire screen. 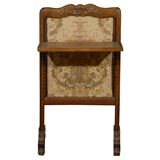 Mid-19th century fine fire screen, the needlework finely executed centre within a gilded border surrounded by a shaped rosewood outer frame. 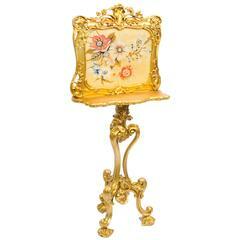 A very good French 19th century Empire influenced fire screen. Being in bird’s-eye maple veneer, classical patinated bronze mounts and raised on claw feet.